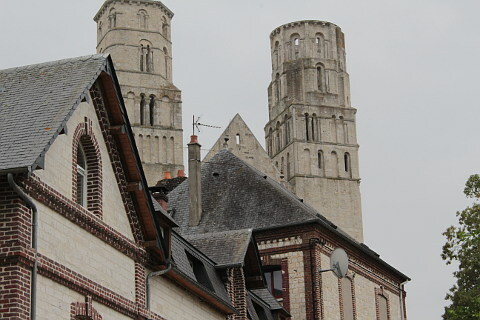 Jumieges Abbey, in the village of Jumieges, on the Seine River between Le Havre and Rouen, is one of the most important religious monuments in the Seine-Maritime department. 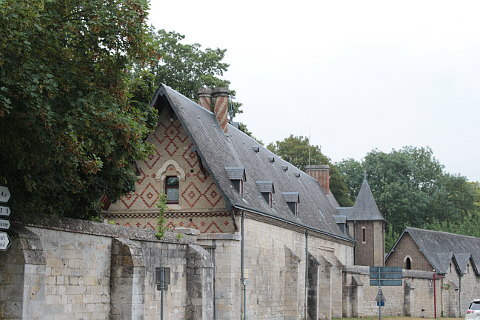 The attractive parkland setting above the Seine River make the abbey a highlight of a trip to this part of Normandy. An abbey was originally constructed here as early as the 7th century, but the abbey has a long history of being ruined and rebuilt over the following centuries. 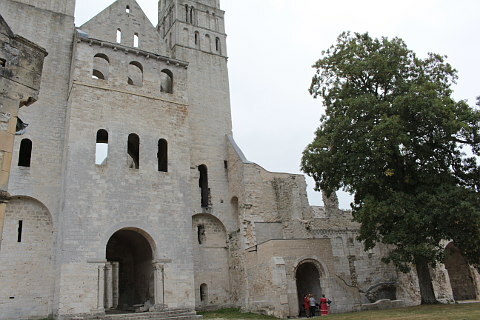 The first rebuild followed the abbey being ransacked by the vikings in 841 - it was to be a century until the monks could return from exile and restablish the abbey. 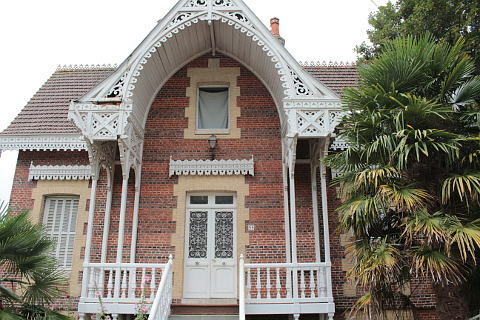 The process was to be repeated with some frequency during the centuries that followed: it was severely damaged during the Hundred Years War, and again during the Wars of Religion. Finally, following the French revolution, the abbey fell into private hands and suffered further damage as the cloisters were destroyed and the stone from the abbey was used to construct other buildings in the vicinity. It was only in the middle of the 19th century that the process of destruction came to an end, and the abbey we see today is broadly as it was at that time - a process helped by Victor Hugo referring to Jumieges as 'the most beautiful ruins in France'. The abbey is open all year, entrance charge 5 euros. A yew tree now stands where the cloisters were situated, the remaining parts of these having been bought in the 19th century by an English lord to reconstruct in the grounds of his castle, and little remains of the other buildings that once would have been associated with the abbey at Jumieges. 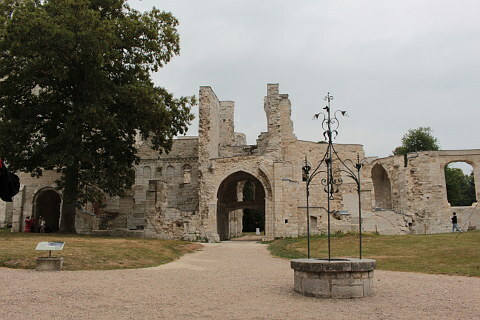 Despite this the churches and parts of the abbey that do remain are perhaps more evocative as a consequence, and the ruin of the abbey at Jumieges is a 'must-see' during a visit to Seine-Maritime. 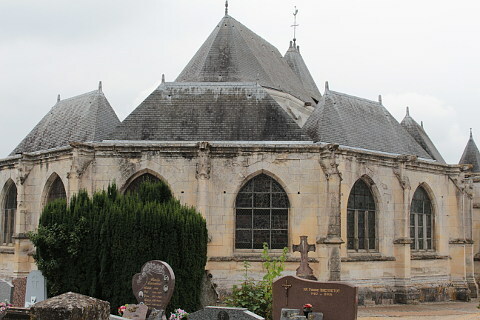 Although the abbey is the main attraction in Jumièges, while you are here you can also visit the Church of Saint-Valentine and take a stroll along the river. 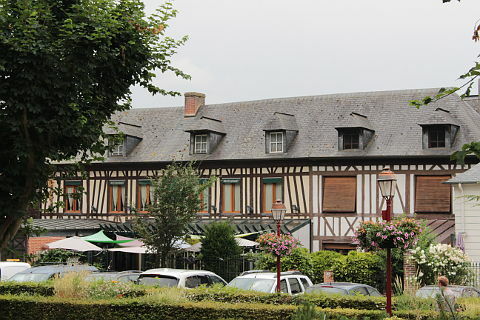 The village itself is very pretty and has lots of half timber buildings and patterned brick buildings. 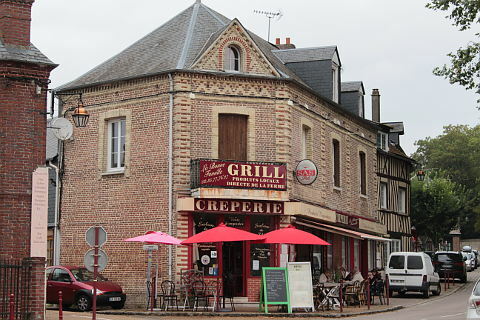 There are a number of restaurants and bars in the village so that you can stop for refreshments after visiting the abbey. There is a leisure lake nearby, the Base de loisir de Jumieges-Le Mesnil, with lots of sporting and leisure activities available. 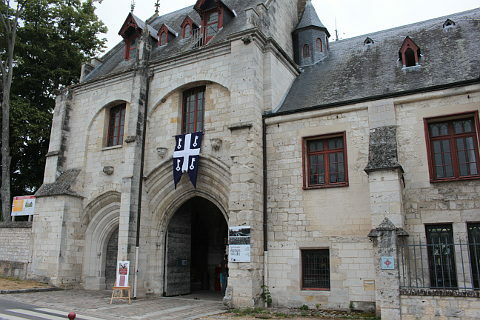 A good time to visit Jumièges is in July during the Viking festival when lots of Viking related activities take place. 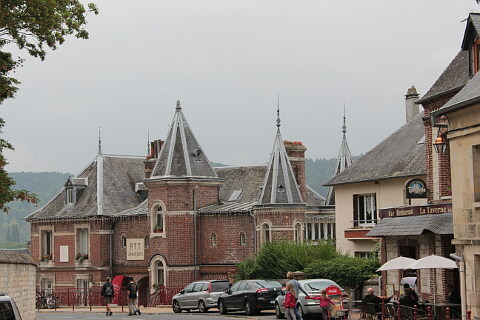 The village is within the Regional Natural Park des Boucles de la Seine normande, with several interesting villages and attractive scenery along the river Seine to enjoy. 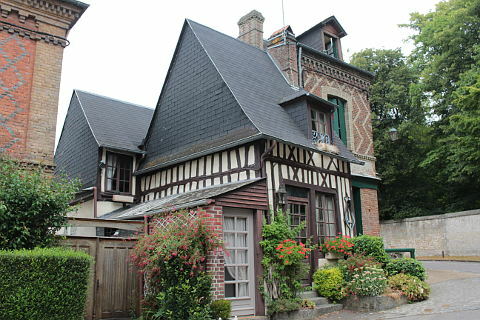 There is a variety of interesting places to visit nearby, including the extensive historic centre of Rouen to the east and the pretty harbour town at Honfleur to the west of Jumieges.